I just spent the better part of five nights installing a 3-way fridge instead of an ice box, pulled the Scamp out of the garage, hooked it up in preparation for a 12 hour drive to Guadalupe National Park and went to check on my shower drain (with newly installed pump!) and noticed my frame is toast. It had been previously repaired with a plate and it's rusted all the way around the plate and in that inner bend as well. It is unusable. Worried about not being able to repair our beloved Scamp. Will look at what is involved in a frame-off repair. I believe that you will find that the patch has been cracked due to flexing and the extra stiffness of the heavy steel reinforcement. Note no tapering of the patch to spread out the stresses. I believe that you will find that the rust is confined to the edges that have cracked and not particularly within the tube. Wow, major bummer Bryan...the only plus side is you're still at home and not on the road. Like mentioned, the patch should have been tapered, not squared off like what's on the frame. "Fish" plate would likely have been better, like this one. That's gotta be disappointing - sure hope you're able to get it repaired or replaced soon and without too much cost and lost time. If you don't mind sharing, where were you planning to camp in GUMO? Most folks seem to head to the Pine Springs CG but we really like the more remote Dog Canyon. A few years back, we were fortunate enough to be camped there when turkey buzzards were migrating through. Late in the afternoons, they'd begin gliding in to roost in the Alligator Junipers just outside our site. It was really comical with the pushing and shoving that went on to get a desired spot. Watching them catch thermals that uplifted from the canyon walls each morning was also neat. Good luck with getting back on the road. Actually, your frame problem is quite common in small trailers. Their frames are not strong enough for boondocking. The internals rust from the inside out, like automobiles do. The frame flexing also often pops rivets and cracks shell moldings too. 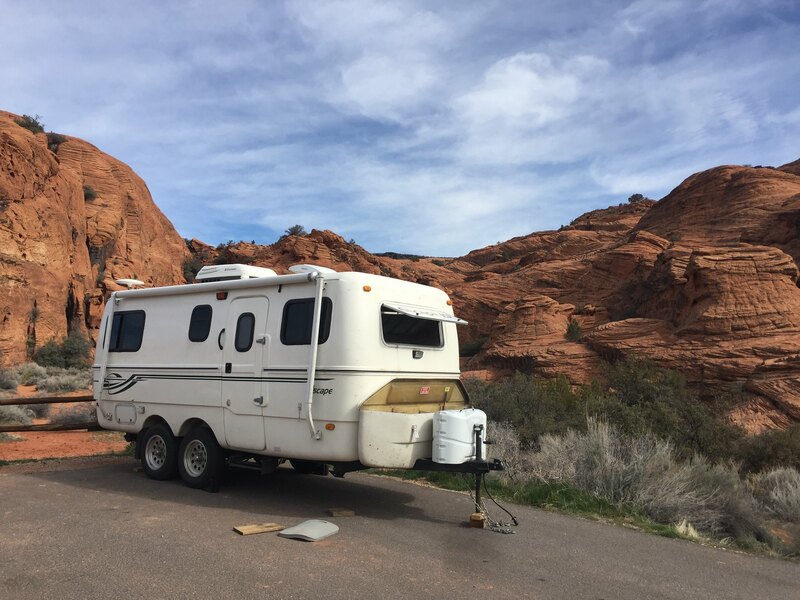 Your first step is to decide if you are satisfied rolling down a paved highway from one over-priced RV slum to another or whether you want to boondock. Plan A requires a new factory frame. If boondocking is your goal, then your existing trailer can be seam welded unto a boondock frame that is strong enough to take the anticipated loads. This frame will also be corrosion-proofed internally to preclude rust. Specialty firms can build a boondock frame for you. If you want a referral, message me privately. There is no part played by rust in this failure. The rust is on the unpainted fractures where the metal cracked in the Heat Affected Zone due to flexing. The frame has broken in the weak area where the tubing was forced into a failure in manufacture, stressing the metal and dimpling the inner wall. This can be repaired properly and reinforced, but use someone else to do it. If it were mine and I did not want to create a big, big project I would remove the floor over the area and fabricate a new section of frame to fit out of 1/8" wall tubing . I would connect two sections, joined with fish plates over the weld where the new pieces "bend". "Sockets" that fit over the old remaining frame sections would also be "fish plates" tapered on both ends. I believe that you will find cracking on the front reinforcement of the flat tubes that go under the door on the street side as well ad this is where the bending that causes the cracks on the driver's side starts.. I think that you will find that removing the floor in the affected areas is easier than taking the shell off and replacing the frame, but I could be wrong as easily as right. This is a failure mode of almost all of the frames made by failing the tune to make the bend that forms the "A" for the hitch. By that I mean ALL of them. I have a ‘95 Scamp and have never checked the frame. I got a new axle five years back but haven’t even considered the frame. Should i take it somewhere to get checked? Yes, I do boondock almost all the time. If you want to go camping before you get this repaired, rent a car towing or other flatbed trailer and load your camper onto the rented trailer. You might get funny looks at the campground, but who cares? 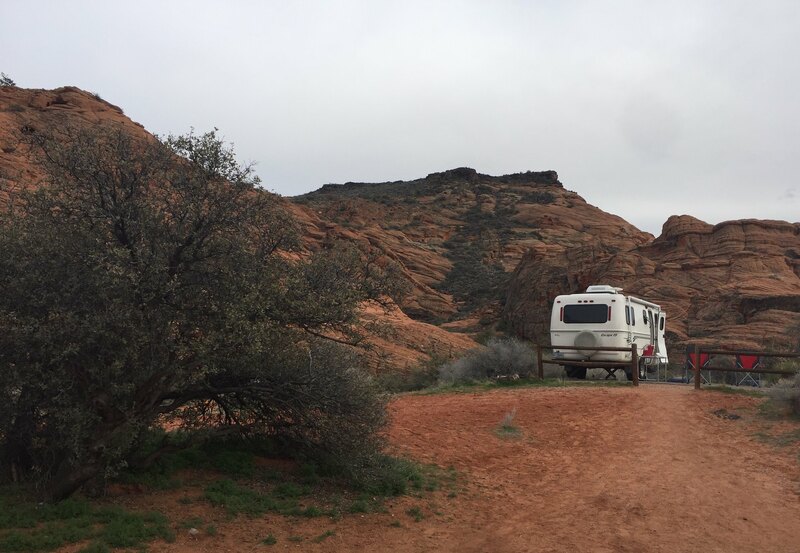 "Your first step is to decide if you are satisfied rolling down a paved highway from one over-priced RV slum to another or whether you want to boondock." Yes, I stayed at this over-priced slum last week, and even worse, it was on a paved road. Spent $20 a night. Stayed a full week, just to see if it would get any better. All campgrounds are definitely not created equal. In the west, we're pretty darn lucky. Sorry I haven't responded sooner. I was so frustrated I had to ignore the pile of fiberglass in my garage for a bit! I am still mulling over my options here. I called Scamp and can get a new frame with new axle for around $2500. Considering I need a new axle (mine is almost thirty years old) this might not be a bad idea. I may also jack it up off the frame and see how much a local place would charge to build a new frame with a better solution to that weak corner. I could also buy the Scamp frame and have someone local beef up the frame before install, although the original lasted over 25 years without too much issue so could just call it good. I plan on going out to the garage and looking at things to see how much work it would be to Jack the body off the frame. Question - does the plywood center floor come up with the shell? I know I have to remove the end benches, but what about the center stuff? I am guessing it all stays to add structure to the shell? Can I leave the hot water heater installed? One of the totally preventable costs and inconveniences of most trailers is bearing service. Sealed bearings that need no service for 100,000 miles will eliminate this fiasco and pay for themselves about two times over.